When Tommy first displayed this car it was a spotless hot rod and there was no payload in the trunk. It could have easily taken awards at model car contests just as it was. Then he began taking about weathering it, but forgot to mention the idea of this moonshining diorama so most everyone who heard the weathering plan opposed it. 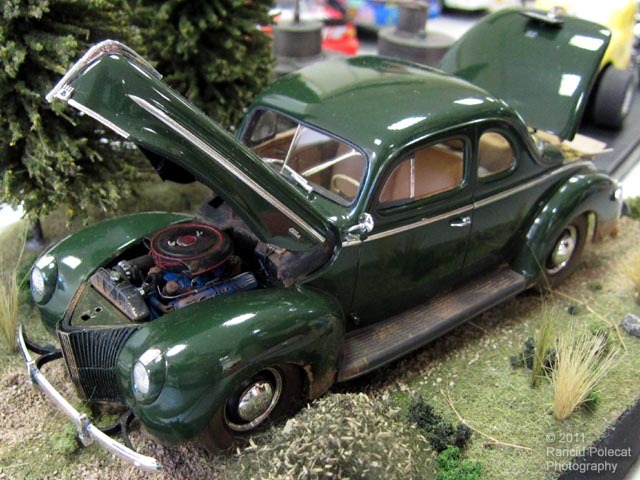 Once we saw the diorama we understood the need to weather the car and all agreed it was the right thing to do.